Whether it was toys, girls, or eventually cooking techniques, the Feury brothers, Terence and Patrick, often found themselves in “familial disagreements.” Lucky for us, they're all grown up now. They’ve learned how to make nice, and more importantly, they've learned how to make beer. 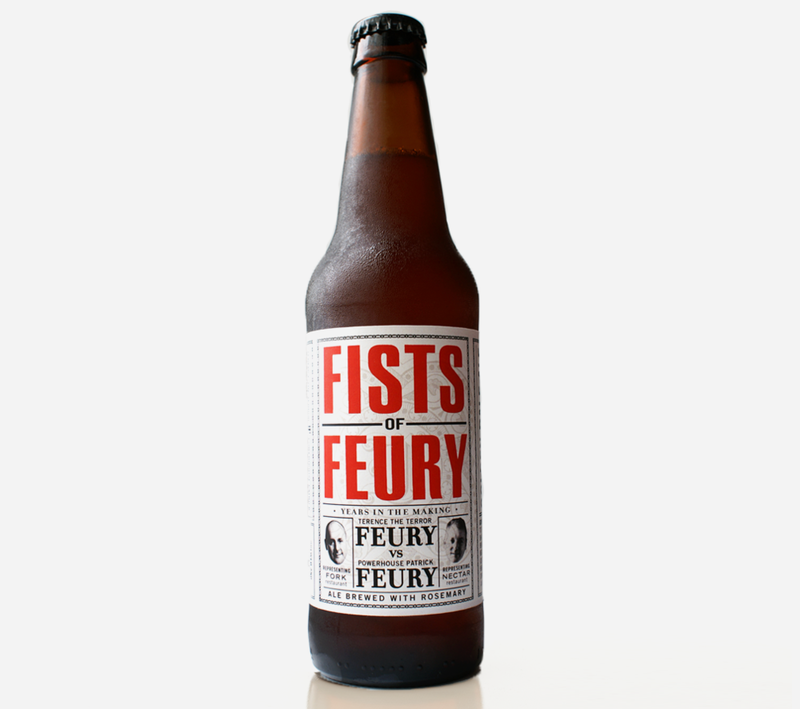 We worked with the Feury chef brothers to develop the packaging and promotion for “Fists of Feury.” Round 1 was brewed in partnership with Bill Covaleski of Victory Brewing Company and round 2 was brewed in partnership with Tom Kehoe of Yards Brewing Company. 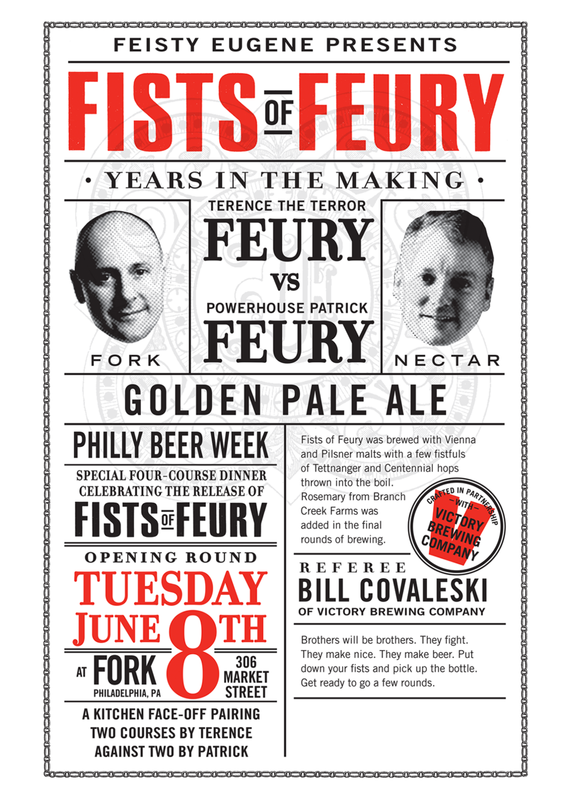 We helped them launch the beers during Philly Beer Week by developing the design, story, and some special promotions.